What is guilty without a conviction? After a plea of guilty is entered or if there is a finding of guilt following evidence being called, the magistrate or judge will then proceed to sentence the offender. The sentence handed down will either be made with conviction or without conviction. A sentence made without conviction is a good result. It means that if that same person is later asked if they have ever been convicted of an offence (e.g. by an employer or on a visa application), they can answer ‘no’. Usually, a non-conviction is only available for offences on the lower end of the scale and to offenders who have no prior criminal history. A conviction will usually be handed down if the offending is of a more serious nature or if there are any aggravating factors to the offending. In practice, it is unlikely (but not impossible) that an offender will receive a non-conviction if they have previously been convicted of an offence. What does it mean to have no conviction? 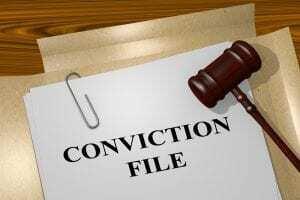 Whether a sentence is made with or without conviction, the offender will still have a criminal record. This is because a finding of guilt has been made against the offender. For a non-conviction, a police record check will still show that the offender was found guilty of the particular offence but that it was made without conviction. It is a common misconception that a non-conviction will mean that you don’t get a criminal record. A non-conviction in relation to a criminal matter will always result in a criminal record, it is one of the most misunderstood concepts in the criminal law. the impact of the recording of a conviction on the offender’s economic or social well-being or on his or her employment prospects. Except as otherwise provided by this or any other Act, a finding of guilt without the recording of a conviction must not be taken to be a conviction for any purpose. subsequent proceedings against the offender for the same offence. Click here for further information on how to avoid a criminal record or call one of our offices located a the top of the page under “office locations”.